When your video crew is filming outside in the elements and you’re using an apple box on snow, ice or other slick surfaces, you just know that the person standing on the apple box might move or shift their weight… Causing the apple box to shoot out from under them, what’cha gonna do then? 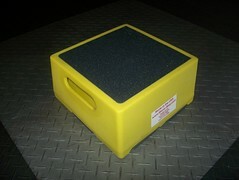 To prevent this sort of problem check out Shure-Step and some of the safest step stools in the world. Customers that have owned these steps for a while, brag on how tough they are to their peers. Built in similar shape and size to the apple box the Shure-Step’s advantage is that it provides a much more secure platform because of it’s hollow underneath with a perimeter wall. Unlike the apple box that has a flat surface plywood bottom. 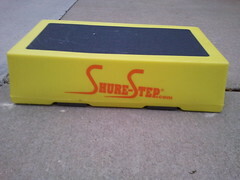 The Shure-Step is a step stool that has no legs, it weighs 10 pounds, it’s rated for 500 pounds and they offer ice cleats for the bottom of their step stools to keep them safe even on icy surfaces. Get an apple box to do that!! Best of all, the Shure-Steps can be ordered in black, so they disappear from the camera. 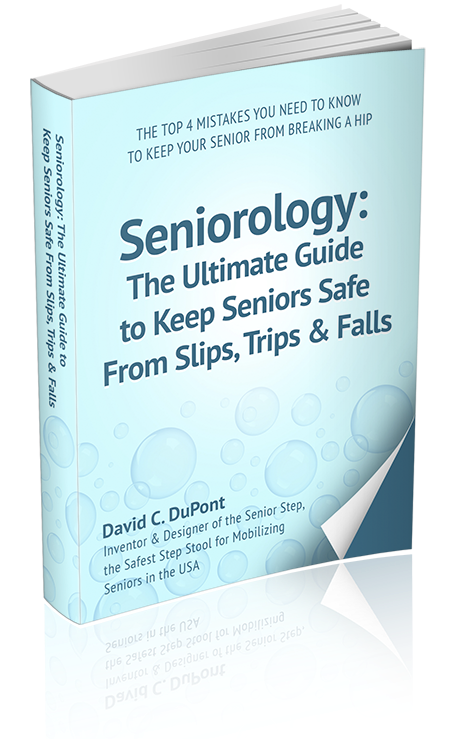 Senior citizens have loved these steps for years because these steps are sturdy and make it easy to get into buses, trucks and SUV’s. Don’t you think it’s time you looked at them for your film crew? You and your crew will be happy you did.